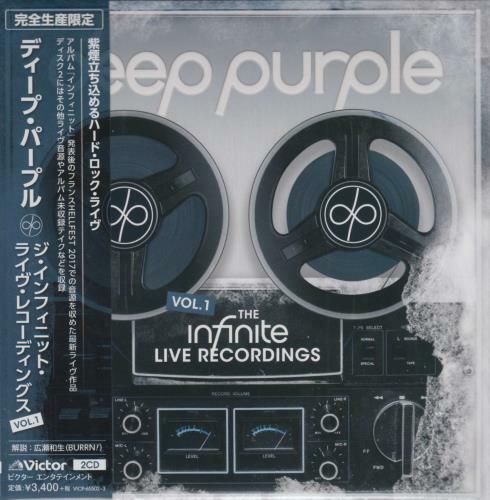 DEEP PURPLE The Infinite Live Recordings Vol. 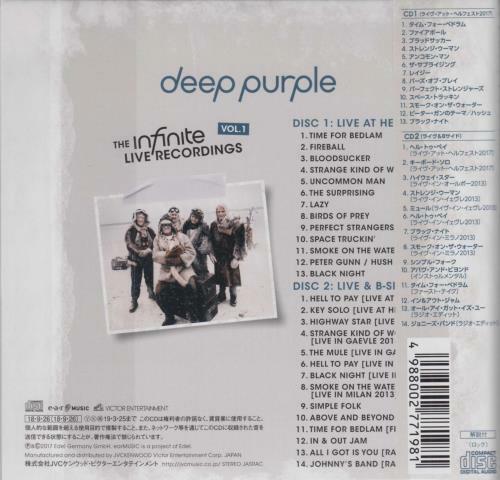 1 (2018 Japanese only limited edition 27-track Double CD set, the first disc features the band recorded live at Hellfest 2017, whilst the second disc is Live & B-sides, within a mini LP style gatefoldcard picture sleeve with lyyrics and obi-strip. This example remains in a shop bought, unplayed condition in the unopened re-sealable bag VICP-65502-3).